More Development Headed for Georgia Avenue | Park View, D.C. 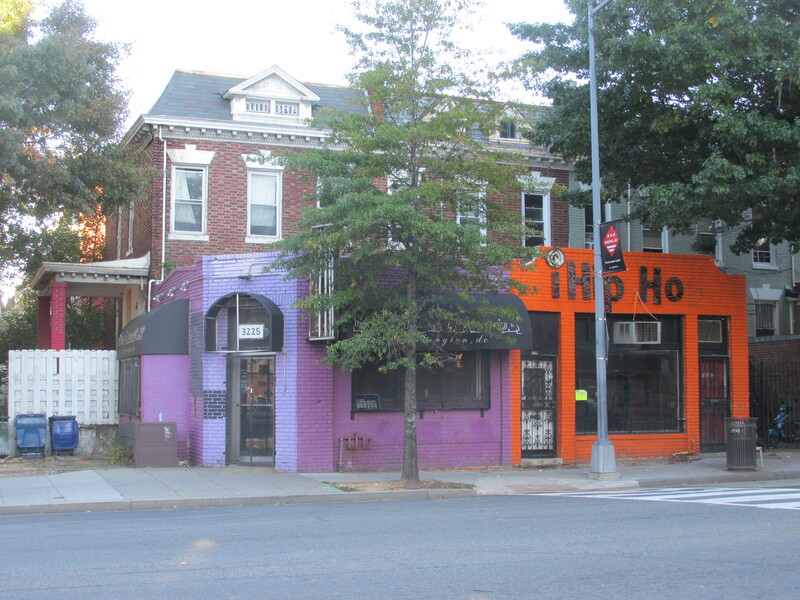 According to raze permit applications that were received by DCRA on September 24, 2015, 3223 and 3225 Georgia Avenue have a new owner and are in the process of being razed and redeveloped. The new development for these parcels is described as a nine-unit building with ground floor retail that will be a by-right project. More will be known after the owner, 650 Lamont BL LLC, attends the October 28 Georgia Avenue Community Development Task Force meeting to discuss the project. This entry was posted on October 14, 2015 at 7:01 am and is filed under Development, Housing, Retail. You can subscribe via RSS 2.0 feed to this post's comments. I too wish it was taller and had more units but ground floor retail is good. Disappointed that the new building at Kenyon and Georgia didn’t include retail. I’ve said it before but there is plenty of retail space on GA that is vacant (including new builds). I am fine with some ground floor residential. Glad to see new development coming. Not sure it needs to be razed though. Cant they just use the structure but turn it in to something appealing and productive? It’s the houses too, right, not just the one story storefront? Yes, I believe it is the houses behind the storefronts too. What comes of the windows facing GA on the houses? I normally support preserving older buildings, but in the case of Georgia Ave, the whole corridor is severely under-built for its current zoning. Maybe adding housing to GA Ave will reduce pressure for unsightly pop-ups in the residential blocks. Hi Kent, do you happen to know what the status is on the development on this house? There are a few signs up in front of it, but to date I haven’t actually seen work done (with the exception of a bulk trash removal that happened awhile back), and we see constantly see people hanging out on the front porch who shouldn’t be. I just want to make sure the bad activities happening in that house down start up again… Thank you!